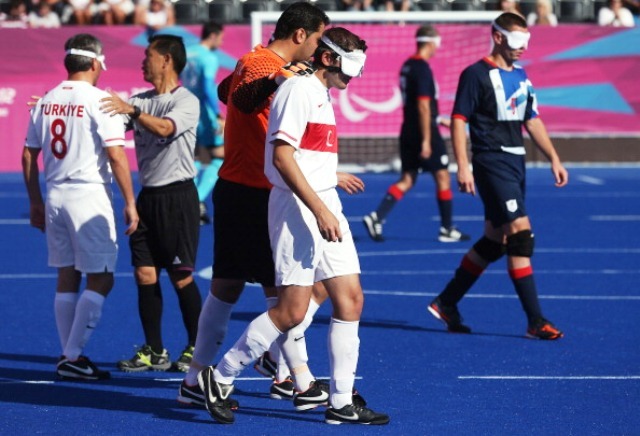 Campos was found to have breached the Code five times in relation to his part in the decision to award Turkey the final football five-a-side slot at the London 2012 Paralympic Games ahead of Japan and Colombia. An IPC investigation launched after the Japanese Paralympic Committee (JPC) unsuccessfully appealed the decision to the Court of Arbitration for Sport (CAS) found that Campos may have been influenced by a conflict of interest, after it was discovered he had entered into a contractual and financial relationship with the Turkish Blind Sports Federation for the provision of various services in 2011. In November 2011, no African country qualified for London 2012, which led to Turkey being awarded the final slot. An IPC Legal and Ethics Committee Hearing Panel, which met in October 2013, determined that receiving payment from the Turkish Blind Sports Federation, while at the same time chairing the group who decided which team took the final London 2012 qualification slot, was a serious conflict of interest for Campos, breaching paragraph 2.1 of the Code. The Panel also found that in denying Japanese or Colombian athletes the opportunity to compete at London 2012 and in failing to provide the IPC with important and relevant information in the context of the Japanese appeal to CAS, Campos had also breached paragraph 2.3 of the Code. Following that initial verdict, Campos was suspended from all IPC events for 27 months from October 13 last year but the Spaniard appealed the decision. Butin February this year an IPC Appeal Panel upheld the original verdicts and in addition found Campos guilty of three further breaches of the Code of Ethics. Campos breached paragraph 1.3 which obliges members to work for the benefit of the entire Paralympic Movement and all its athletes and not just for a particular constituent; paragraph 1.4 which calls for the safeguarding of athletes' interests, priorities and opportunity to participate in fair competition and excel in sport; and paragraph 10.1 which states that "sports leaders and administrators shall make all decisions with absolute impartiality in the best interest of the athletes and the sport". As a result of these further breaches, the Appeals Panel concluded that the original 27-month suspension was too lenient and increased it to 82 months starting from October 13, 2013, the date of the original hearing. This means that Campos is banned from participation or any involvement in the Paralympic Games and all IPC events until September 7 2020, the day after the Closing Ceremony of Tokyo 2020.